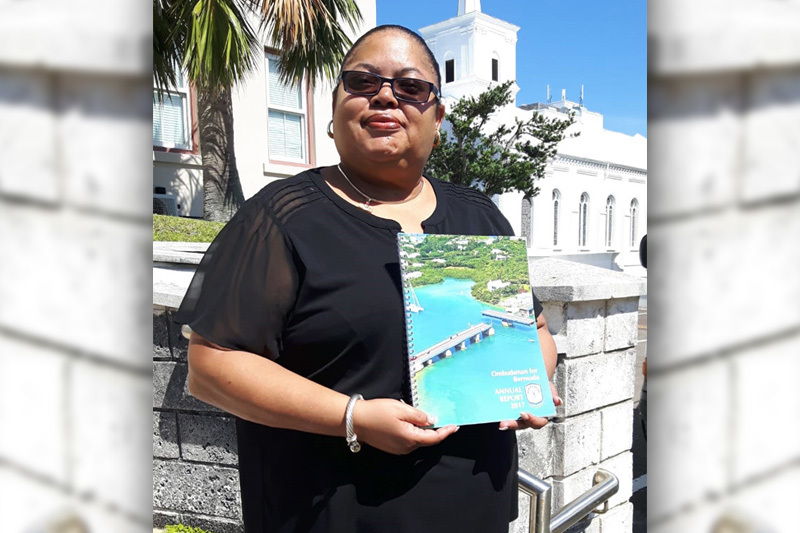 Victoria Pearman, Ombudsman for Bermuda, has submitted her Annual Report for 2017 to the Speaker of the House of Assembly in accordance with her statutory duty under the Ombudsman Act 2004. The Report was tabled in the House of Assembly on Friday, and is available to the public. “In 2017 the Office of the Ombudsman handled 283 cases. The Report provides a breakdown of the disposition of cases by ministry and authority and includes selected case summaries,” the Ombudsman’s office explained. “It also provides useful information for the public such as making your opinions count on matters of national interest. It contains general information on seniors and financial assistance, Bermuda status and United States visa exemption, and organisational changes in Government. “During 2017 the Office inquired into various matters such as the Department of Financial Assistance’s policies and procedures, communication of bus cancellation information by the Department of Public Transportation and the Department of Education’s coordination of school learning support services. The Office also continued to prioritise senior abuse complaints oversight and follow-up on complaint handling oversight of financial institutions. “For three successive years the fact that the Land Title Registry remains closed to the public had been highlighted by the Ombudsman as a matter of grave concern, after taxpayers have paid millions of dollars to fund that office. The Ombudsman comments, “The much-heralded initiative with the Ministry of National Security and the Department of Corrections which we highlighted in our Annual Report 2016 has not progressed as expected. A spokesperson added, “For the first time a survey for feedback on the Annual Report 2017 is included. The public are encouraged to share their comments with the Office by returning the survey in print or electronically as indicated on the survey. Personal details will not be recorded. Once feedback is logged, all personal details if any including email addresses, will be discarded.